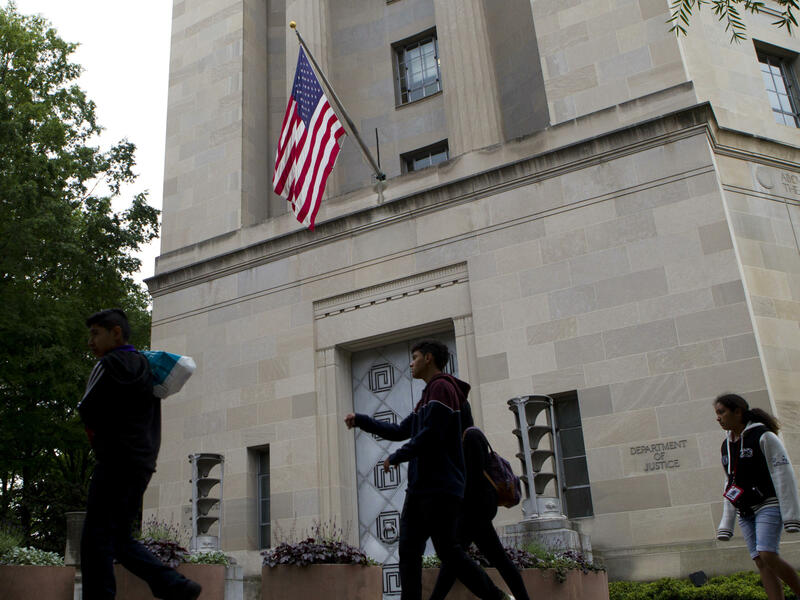 The Department of Justice headquarters in Washington, D.C., is losing one of its most experienced top leaders, the latest official to leave for work in the private sector. Scott Schools, a top aide to the deputy attorney general, is planning to leave the Justice Department at the end of the week, according to two people familiar with his decision. The job title for Schools — associate deputy attorney general — belied his importance as a strategic counselor and repository of institutional memory and ethics at the DOJ. Schools has played a critical, if behind-the-scenes, role in some of the most important and sensitive issues in the building. This year, Schools recommended that then-Deputy FBI Director Andrew McCabe be fired for a "lack of candor" in an internal investigation. Earlier, he advised former acting Attorney General Sally Yates about the boundaries of her congressional testimony in early 2016. And more recently, Schools has been photographed near the offices of Russia special counsel Robert Mueller, as one of a few top DOJ aides to get regular briefings on the status of that investigation. "Scott has provided invaluable leadership and counsel in his years at the department, and his service is an example to all," Attorney General Jeff Sessions said in a written statement. "He will be greatly missed, and I wish him the best in his future endeavors." Schools is the latest departure from a Justice Department battered by political attacks over its handling of the 2016 Hillary Clinton email investigation and more recently the Russia investigation. Its previous third-in-command, Rachel Brand, resigned earlier this year. Nominees to run the Justice Department's Criminal Division, Civil Rights Division and Environmental and Natural Resources Division have not been confirmed in the Senate. As for Schools, Slate magazine called him "the most important unknown person in D.C." And that status has only grown as his boss, Deputy Attorney General Rod Rosenstein, has found himself on defense among Republicans in Congress over the Mueller investigation. Schools began his career as a prosecutor in South Carolina, rising to become a U.S. attorney there and in the northern district of California, where he signed off on charges against baseball phenom Barry Bonds. For years, Schools worked alongside another Justice Department mainstay, David Margolis, who was known as the "Yoda" of the department. When Margolis died, DOJ brass asked Schools to come back to Washington to try to fill those shoes. Schools is said to be leaving for a job in the private sector. One source who worked with Schools said there was no sign he was being pushed out. Another said Schools was not leaving because of a disagreement with DOJ leadership. But his departure, as the highest ranking career lawyer at the Justice Department, will add to a brain drain from the department at a time when it is under attack from President Trump and his allies in Congress. Schools will be replaced, on an acting basis, by Bradley Weinsheimer, who currently works in the national security unit. Weinsheimer has spent 27 years at DOJ, where he tried homicide and public corruption cases. Unlike Schools, Weinsheimer will not supervise or otherwise be involved in overseeing the special counsel team probing Russian election interference and whether any Americans tied to the Trump campaign took part.